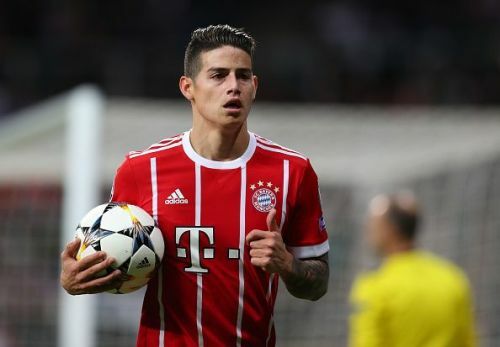 James Rodriguez would be Arsenal's next best option. Aaron Ramsey has secured a move for Juventus next season as Arsenal has refused to match the eye-watering £400,000 (net) a week salary that the Old Lady offered. The Gunners have seen enough of the Welshman's importance and, capabilities as the player have spent his remaining time at the Emirates with a lot of dedication and hard work. It is understandable that many of the Gunners faithful have regretted the decision to let go of their legendary midfielder. Despite Ramsey's imminent departure, Arsenal could find new hopes in James Rodriguez. The Colombian's future is still uncertain and has been heavily linked with the English side. James Rodriguez will be affordable for Arsenal. Everybody knows of Arsenal's massive financial power but, the Gunners are always reluctant to spend heavily in the transfer market. They are known by many as a club that will always be looking for a bargain transfer. Arsenal will not get a single dime from Ramsey's departure because the 28 years old will joins Juventus on a free transfer next season. 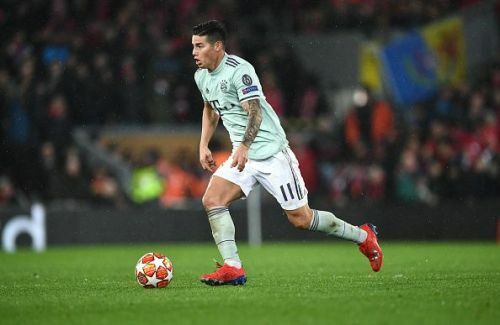 Hence, James should be the obvious choice for their midfield solution due to his affordable price. Real Madrid has a known asking price which stands at €42 million for the midfielder and, they could even lower the demand if Bayern Munich do not want to purchase the Colombian. In today's modern market where Paul Pogba could be sold for €100 million and, Kepa Arrizabalaga has been brought for a record €80 million, James transfer would be a bargain of the season for Arsenal. Are Arsenal right to let Aaron Ramsey leave?